If you follow any of the local news outlets, chances are you have heard the phrase “Grand Rapids Vapor Intrusio n Project” recently. To summarize, because of some recent environmental testing, it was decided that the residents/businesses located at 401 Hall St. SE, 1168 Madison SE and 1170 Madison SE were to evacuate the premises due to unsafe vapor levels. We would like to notify the community that while some news sources referred to the Southtown Square Apartments (413 Hall St SE) as the source of the vapor leakage, the actual source was a former dry cleaning business that was located in that spot but closed in 1995. Before LINC UP built the Southtown Apartments, LINC UP Offices and LINC Gallery, they constructed a vapor shield to make sure the buildings would be safe to visit and work in, and so the vapors would not come through the ground and into the buildings. We want to assure our community that the Southtown Square Apartments (413 Hall St SE), LINC UP Offices and the Soul Food Cafe (1167 Madison SE), the Gallery (341 Hall St SE) and all other offices within those buildings are safe, and unaffected by this recent situation. Regular testing is performed on these properties, and none have shown signs of vapor leakage. 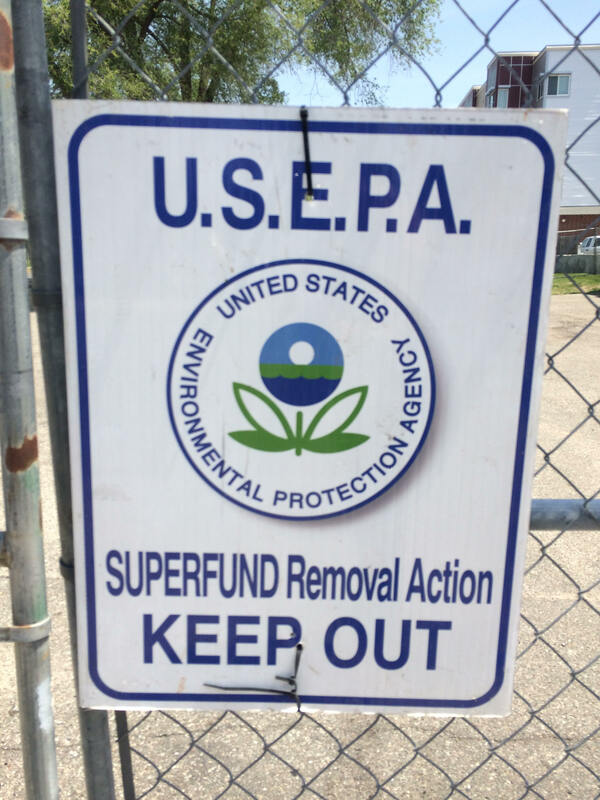 Anyone with questions should call EPA On-scene Coordinator Betsy Nightingale at 734-770-8402 or email her at nightingale.elizabeth@epa.gov . It requires a lot of relationship-building to have a lasting impact on a community’s eating habits and access to healthy food, which makes hunger difficult to solve on a more systemic level, says Lisa Oliver King. It’s the sad truth that just planting a school garden doesn’t really help communities deal with larger systemic issues. I live in Grand Rapids where income-challenged people do not have access to healthy foods within walking distance. For those who have disabilities, or lack access to a car, junk food and fast food may be the only options. They may not even realize it, but these foods are making them sick. The members of my Grand Rapids community — mothers, fathers, elders and, yes, even youth — struggle every day to maintain their health and their very lives. In order to tackle these big problems, we need to think bigger than just planting gardens. We need to change cultural priorities. For this Next Idea, I can tell you what is working in my community. But I also want to hear from you. How could your town or city work towards changing our food culture here in Michigan? In 2003, I founded a grassroots organization called Our Kitchen Table (OKT), which works with women of color to address issues of food access and nutrition. We use a hands-on model that emphasizes community engagement and transformation, not just charity or short-term education. We call this the “See Do” approach. Our strategy is to get people working with us at the neighborhood level. We don’t simply give people gardens and walk away. Our gardeners see their garden coaches planting and maintaining their gardens—and dowork alongside them. When we see a lesson and then do it ourselves, we are more likely to incorporate it into our lives than when we just read about it, hear it, or view it on a PowerPoint. Growing food. 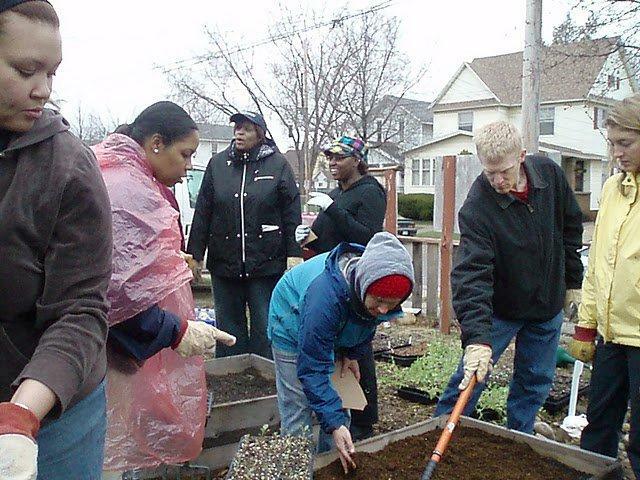 OKT began empowering income-challenged families and individuals by sharing everything they need to grow their own food: OKT-grown organic starter food plants, containers and composted soil, garden tools, garden coaches and garden education. Teaching food preparation. OKT started to host free “Cook Eat & Talk” events so neighbors can learn easy ways to cook and preserve in-season produce from their gardens or farmers’ market. Providing affordable, healthy food for sale in food insecure neighborhoods.OKT began managing the Southeast Area Farmers’ Market, a walkable market that welcomes food assistance dollars. Advocating for policy change. OKT seeks to impact local, regional and national policies in order to further the goals of food justice through education and action. To implement this strategy, we work alongside our vulnerable neighbors so they can “see” that they can “do” it. We recruit team members who live in the neighborhoods and have personally experienced the results of not having access to healthy food. It is working in Grand Rapids. Over the past six years, we have seen how “doing” changes lives. There are mothers enthusiastically preparing healthy foods for their children, and elders becoming regular customers at our farmers’ market. Women of color are improving their health. We have grown a small core collective of community members who have become enthusiastic advocates for better access to healthy food in their neighborhoods. But here’s where it gets complicated. Unlike other Next Ideas, which could be adapted by other towns and cities or even scaled up to be statewide, the “See Do” approach depends on being an intimate part of a neighborhood. To return to the example of the school garden, we realized that the difference between a failed, ugly mess of rotting plants and a beautiful, inviting, healthy-food opportunity wasn’t just resources. It was relationships. For example, did you know that school facilities personnel tend to hate school gardens? They’re the ones who end up having to clean up the land and the mess when students and teachers move on to the next assignment. In order for us to make real change in the way young people view healthy food, Our Kitchen Table has had to engage community members at every level and get their buy-in. That type of approach — getting our neighbors to really see the impact of food disparities and join in the process to solve it — can’t just be easily transported from one local context to another. So we know that overcoming food access disparity can’t be solved by just planting gardens. And that means the question becomes: How do we plant deep-rooted relationships? What ideas would allow your local communities to grow and thrive? Lisa Oliver King is the founder of Our Kitchen Table in Grand Rapids.